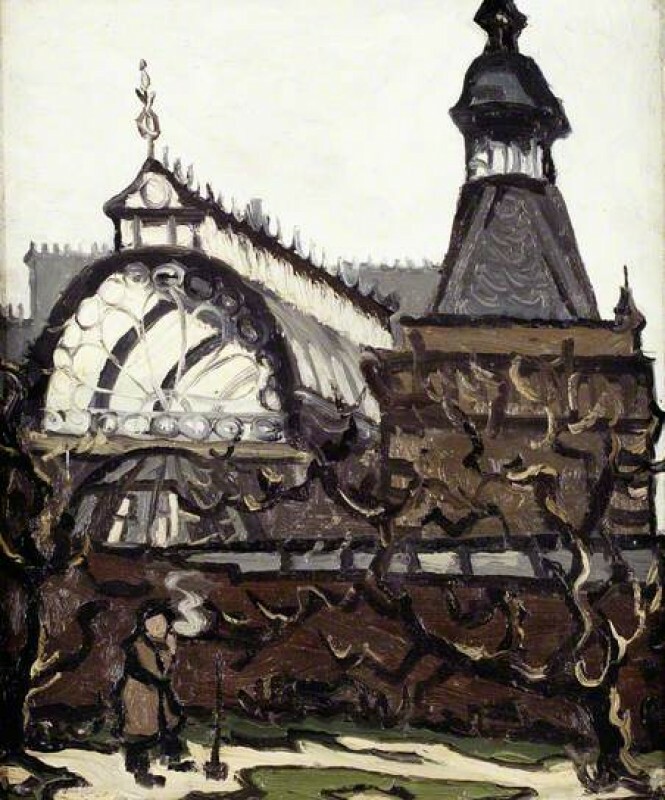 Lona Mason of The National Library of Wales and Group Leader for the Wales subject Group wrote to Art Detective to ask if anyone recognised the view depicted in Kyffin Williams’ 'Conservatory, Highgate'. Barbara Bryant, Group Leader for British Portraits 19th C suggested two options: Athlone House or Witanhurst, both of which are on the edge of Hampstead Heath. Barbara thought Athlone House was the most likely option. Andrew Greg noted that Witanhurst does not appear to have a conservatory, thus ruling out this option. Lona found an old picture of Athlone House and noticed that the conservatory is very similar. Jade King then pointed out that the conservatory at Athlone was demolished in 1945, therefore the execution date of c.1950 might be incorrect. Osmund Bullock, however, attached some Ordinance Survey maps, one of which was from 1953 and shows the conservatory still in place. The text Jade had read was deemed misleading and the execution date of c.1950 was still plausible. However the collection later discovered a definite execution date of 1944. The title was changed to Conservatory, Highgate (Athlone House). Editor’s note: this change will appear on the Your Paintings website by the end of February 2015. Does anyone recognise the view depicted in Kyffin Williams' 'Conservatory, Highgate'?